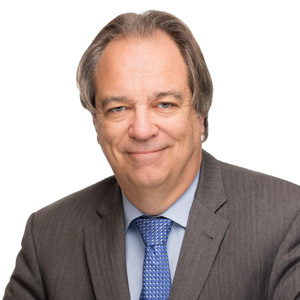 John Schlosser is a Senior Advisor of ASG, where he draws on extensive overseas management experience as a diplomat in South Asia, to advise clients on successful business strategies in India. Mr. Schlosser helps clients understand the U.S. interagency process and how it shapes the international policies that impact their bottom lines. Prior to joining the firm, Mr. Schlosser was Director of the Office of Regional Affairs in the State Department’s Bureau of South and Central Asian Affairs. In this capacity, he was principal advisor to the Assistant Secretary for South and Central Asia on security policy, including non-proliferation, counter-terrorism and political-military issues, and had responsibility for the regional assistance budget, regional economic policy, human rights/human trafficking and science, technology, and environmental issues. He was a driving force in shaping and implementing both the U.S.-India civil nuclear cooperation initiative and its predecessor, the Next Steps in Strategic Partnership with India. Prior to that assignment, Mr. Schlosser was founding Director of the Department’s Office of Export Control Cooperation and Sanctions. In this capacity, he traveled to more than 25 countries to urge the adoption of non-proliferation export controls and border and port security measures. He also oversaw an assistance program active in over 30 countries, coordinating the participation of six U.S. government agencies. Mr. Schlosser earned his M.A. in European History from the University of California, Santa Barbara, and did doctoral work at Stanford University, passing his Ph.D. oral examinations with distinction shortly before joining the Foreign Service.